What the hell? 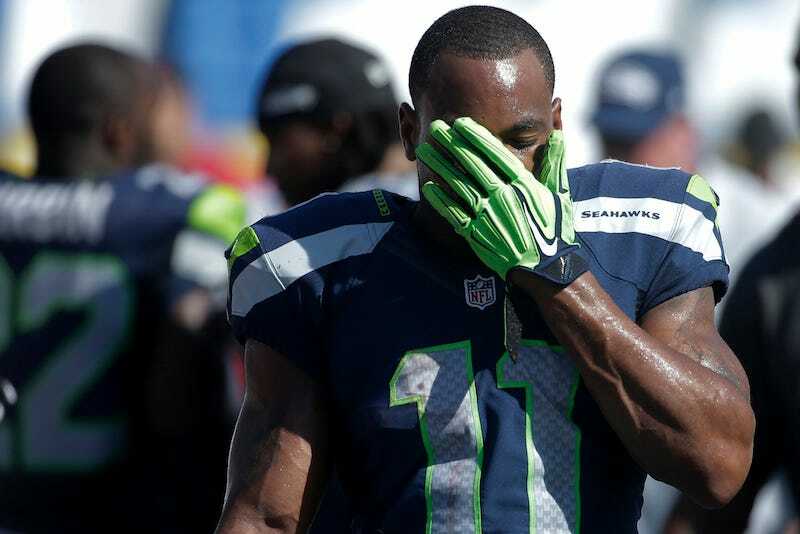 The Seahawks are reportedly shipping wide receiver Percy Harvin to the Jets for a conditional draft pick. Jay Glazer had the scoop first. Update: Bruce Irvin weighs in, too. Seattle got Harvin from the Vikings two seasons ago, giving up a first-rounder and seventh-rounder in 2013, and a third-rounder in 2014. His first season was a wash in which he had hip problems and played one game and recorded one catch; the highlight of his Seahawks career is probably his kickoff return TD in Super Bowl XLVIII. Harvin's contract isn't guaranteed beyond 2014's base salary, so we'll see what the Jets do with him. For now, here are a few players who have more catches than Harvin this season: James Jones, Markus Wheaton, Riley Cooper, Justin Forsett, and Eric Decker. The Seahawks are a run-first offense anyway, but they're going to use other options at receiver, apparently.